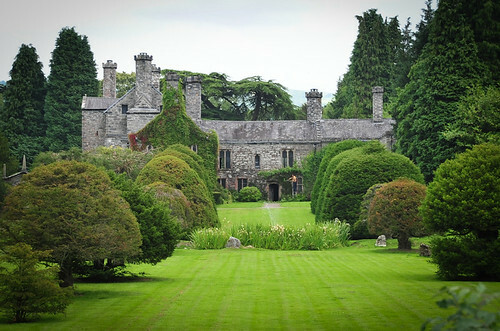 Gwydir Castle, Llanrwst, a photo by davidrobertsphotography on Flickr. A trip up the Conwy Valley today and I stopped to grab this photo over the wall of the wonderful Gwydir Castle at Llanrwst. Built in c1490, it is really a fortified manor house but still very impressive, nonetheless. Lovely photo, David. What I love about this place is that it seems so original and untouched...I know it's been restored and all that, but the result isn't some kind of sanitised replica as per the NT. So you can stand in the great hall and imagine how it must have been.